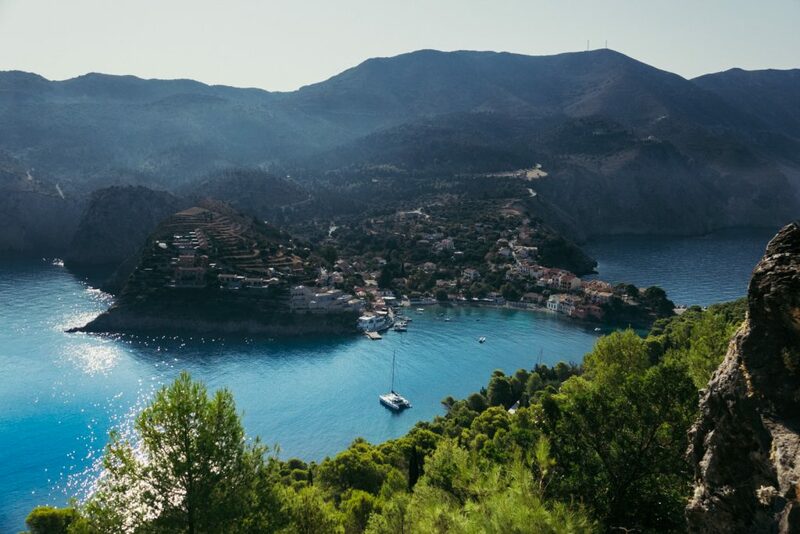 Week two of our Mediterranean leg led us through more Greek islands, one more beautiful than the next. New members joining us on the boat were Markus, Sara and Doug, together with competition winner Stefan and Cat, who extended for another week. This week kicked off with some great idea incubators, discussions, idea creation and skill shares. 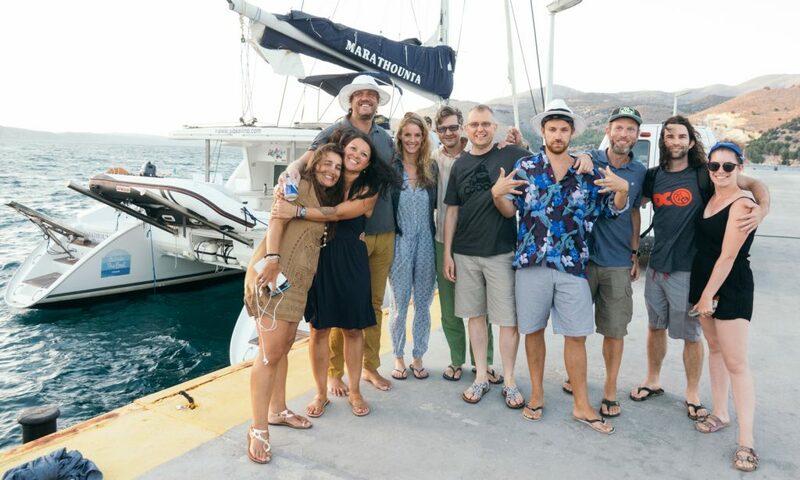 Yet again, having a diverse crew on Coboat led to invaluable input on all fronts. 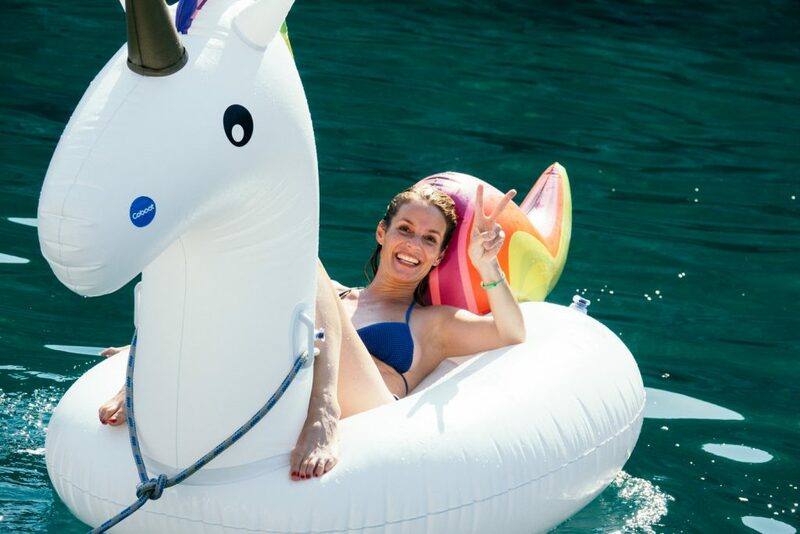 Supplemented by bonding, laughing and swimming with the unicorn, this week was a huge overall success. 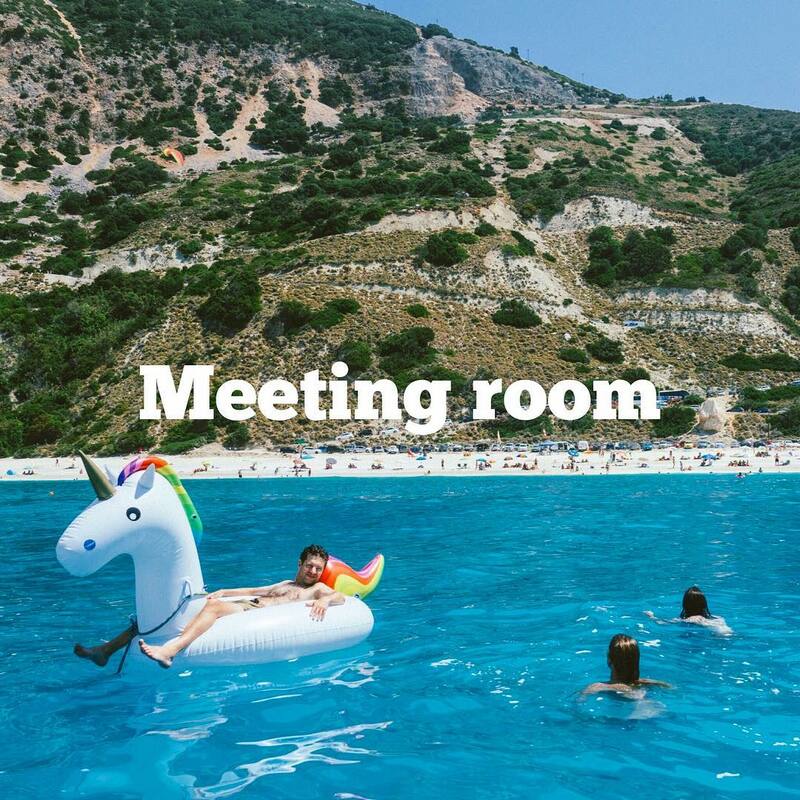 Ideas pitched throughout the week ranged from a platform for budding aviators by Markus, a refreshed take on raincoats and dog blogs by Sara, a skill share of Kickstarter for successful campaigns and a presentation of Doug’s business, Minaal. 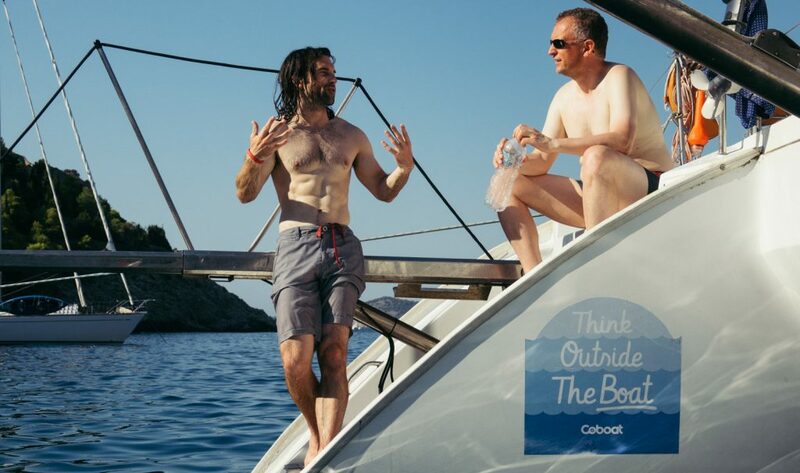 The first mandatory stop was Assos, where last week’s crew fell in love with the landscape, the castle, the town and the crystal clear waters in the harbour. 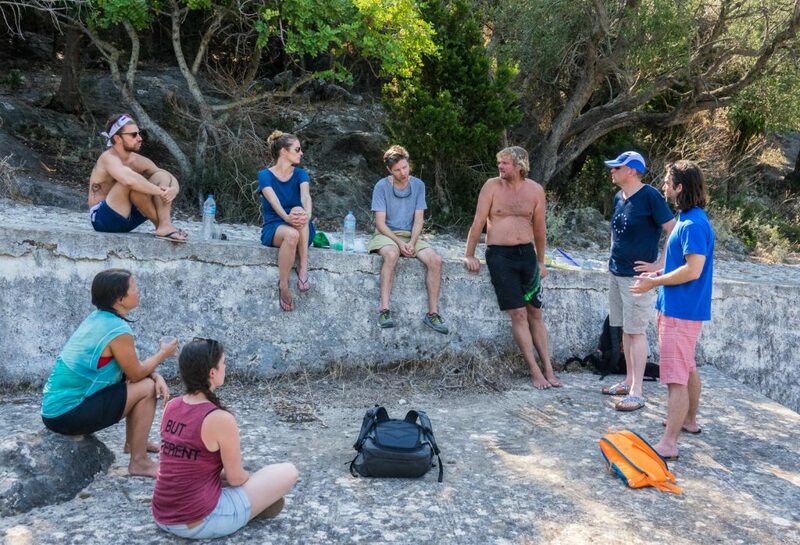 It was only too clear that next day’s session would be held in the castle, where, after a short hike to an amazing view, the crew shared breakfast and heard about Doug’s most recent ideas in perhaps one of the most inspirational locations in Greece. After a short stop in Fiscardo, Coboat headed to Meganisi, where after a short swim, we found a nice little bar. We also found the best cat and ­quickly named him Saganaki for his ginger and white fur and the idea of taking on a new crew member (a boat cat) was very nearly realised had it not been for one veto (looking at you, Gerald!). 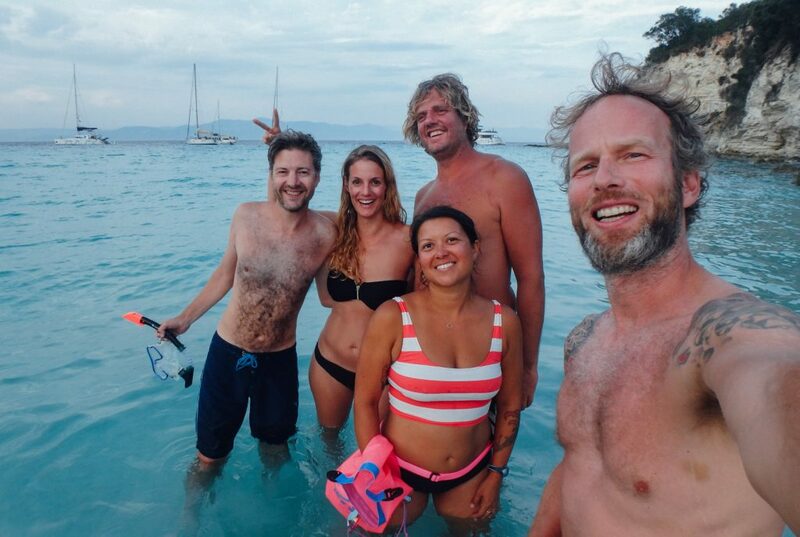 Wednesday we docked in Lefkada to make some more repairs (neverending story on a yacht) and stocked up on supplies and souvenirs after an inspirational session on the Coboat mission to keep the ocean clean and to avoid using plastic. The last swim stop before reaching our final destination was Antipaxos with its Carribean ­like beaches and light blue water. Here, the crew wrapped up their last sessions and gave valuable input on the Coboat project and its current challenges. 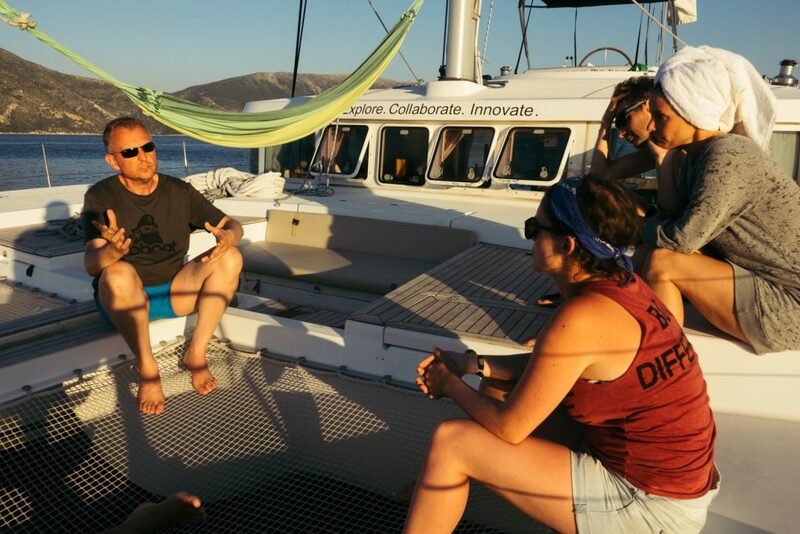 As points of view differ vastly between the diverse crew members, discussions such as these always give vital new perspectives on situations. Thank you to all crew members and we hope to see you again soon!